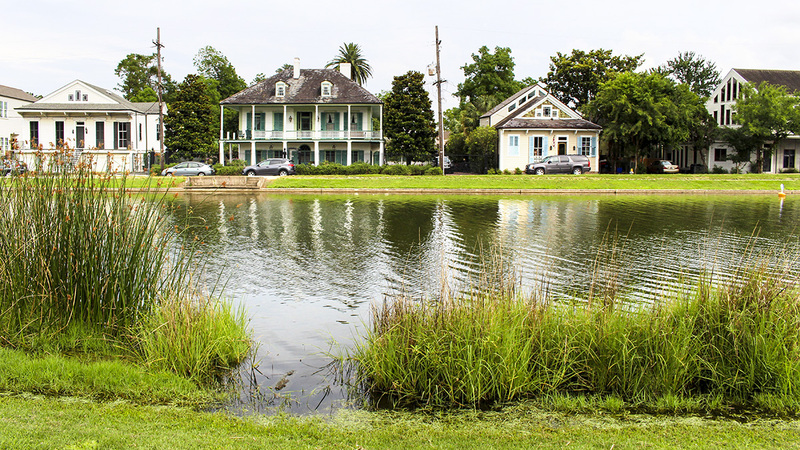 Shown on early eighteenth-century maps of New Orleans, Bayou St. John was once a four-mile-long natural waterway. Originating some two miles northwest of the Mississippi River, the bayou flowed through cypress swamps to Lake Pontchartrain. 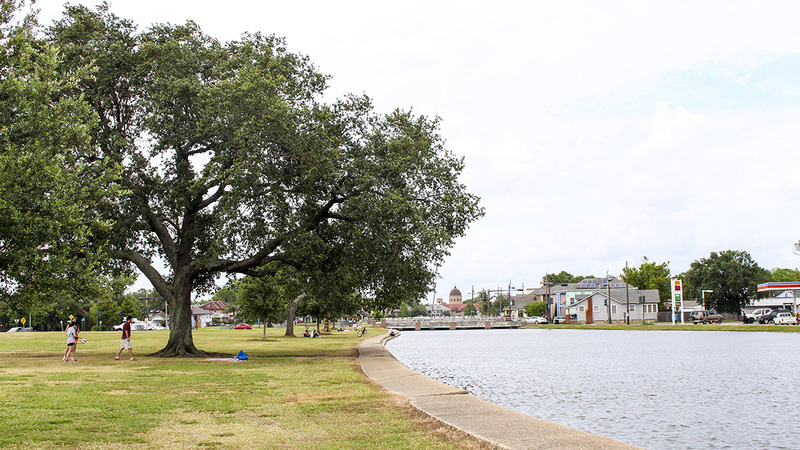 A trail along the bayou was first created by Native Americans, who, in 1699, showed the route to New Orleans founders Bienville and Iberville, along with a portage between the bayou and the river, which later became a trade route for the French Colonial city. In the late 1700s, with the addition of the Carondelet Canal, which extended the waterway to the Vieux Carré, an important shipping network emerged and lasted until the early 1900s. 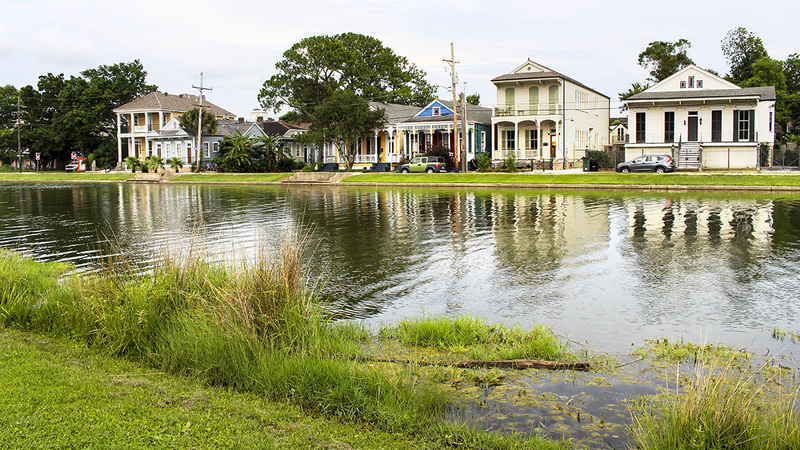 In 1936, the Works Progress Administration began the construction of concrete levees and additional bridges that traversed the bayou, hindering boat navigation and creating flood protection for the increasing residential development in the area. 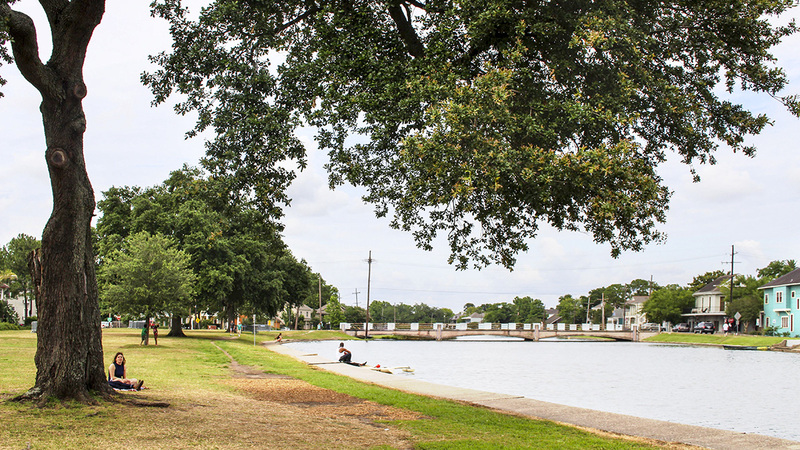 Bayou St. John has become a prominent recreational corridor bordered by seven neighborhoods, including Bayou St. John, Mid-City, and Gentilly, as well a 2.6-mile stretch along the eastern edge of City Park. 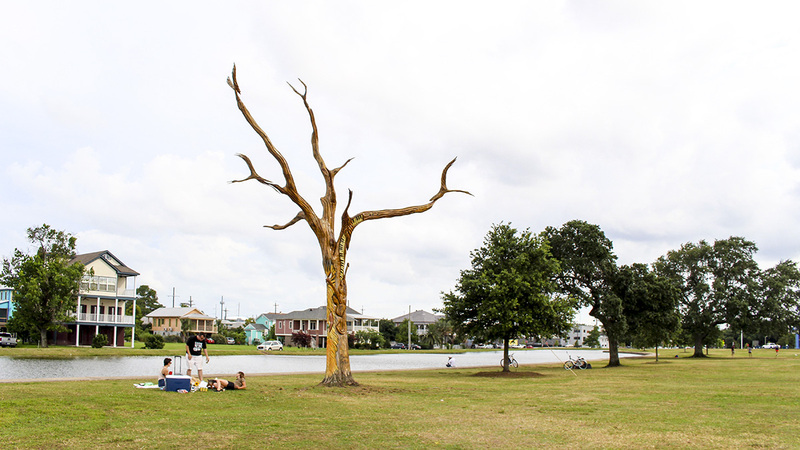 Activities along the bayou include canoeing, picnicking, and fishing, while footpaths along its grassy banks are routinely used by joggers and dog-walkers. 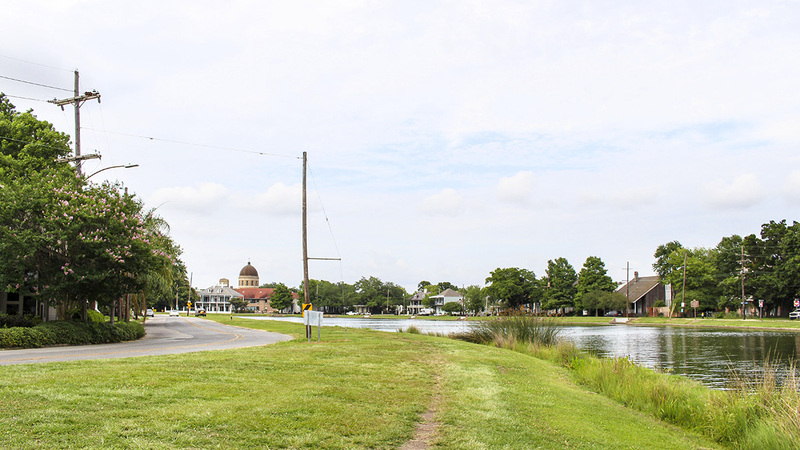 The 4.7-mile-long Wisner Bike Path runs along the western edge of the bayou, a paved trail designed for bicyclists and pedestrians.